How to increase hemoglobin for diabetics? Many diabetic patients want to know the remedies for it. Common foods that increase hemoglobin are pomegranate, dates, beet root, jaggery, raisins etc. In nature, most iron rich foods are high in sugar. We understand eating these foods to increase hemoglobin for diabetics will not work. It will hike blood sugar levels and will leave in health troubles. So, we have visited famous Diabetologists to help you to increase your iron level. Here’s list of special foods to boost hemoglobin level especially for diabetics. Add these foods in your daily diet. These are non sugar sources of iron rich foods. It will raise iron level fast without increasing your sugar level. Fenugreek is a boon for diabetics. It not only helps to control blood sugar level. It has various health benefits too. Eat 2 tsp of overnight-soaked fenugreek seeds in empty stomach everyday morning. Follow it for 45 days. You can see good changes in your hemoglobin level and blood sugar level. Green leaves are rich in iron and other essential vitamins. It can raise hemoglobin level naturally. Include some dark leafy foods in daily diet. Eat drumstick leaves, palak and other spinach often. This helps to increase hemoglobin for diabetics patient. Tip: You can make spinach soups and drink. It helps to get good level of hemoglobin fast. Most fruits are not advisable for diabetics as they are high sugar. But, you can enjoy eating orange and papaya daily. Take 1-2 orange and few pieces of papaya everyday. It is good to boost hemoglobin level for diabetics without increasing sugar level. Seeds are rich in essential nutrients especially rich in iron. 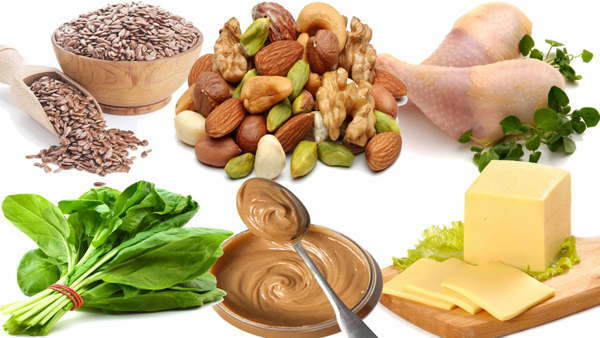 You can eat almonds, sesame seeds and groundnuts in limited amounts to raise hemoglobin. So, snack these nuts in evenings. This is one of the best tips to increase hemoglobin having diabetics. Curry leaves and coriander contains rich level of iron and other nutrients. So, it is considered as a best food to increase hemoglobin naturally. Diabetics can eat a handful of raw curry leaves in morning to boost iron content in the body. Drink coriander juice daily, it also helps effectively. Drink two cups of sugar-free and fat-free milk everyday. Milk is rich in protein, iron and multi-vitamins. Drink warm milk two times a day. Turmeric milk for diabetics is very healthy. It naturally increase hemoglobin for diabetics. Whole grain cereals are high in iron and calcium content. Take a handful of chick peas and corn. Soak in water overnight. Steam it and enjoy with pepper toppings. It is a best natural food to increase iron levels for diabetics. Eat these diabetologists’ suggested foods to increase hemoglobin for diabetics. It helps to increase hemoglobin level and decrease blood sugar level. Get more iron and stay with super-immunity!